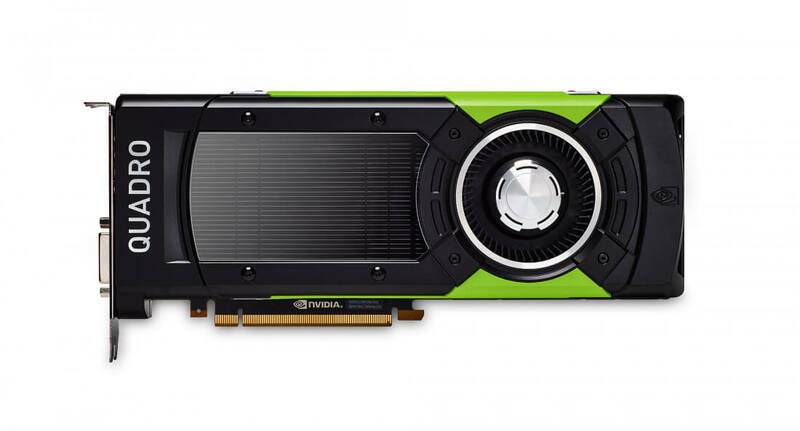 Nvidia has been investing heavily in workstation and data center-class GPUs lately. While the market for gaming-grade graphics cards continues to grow, so does high performance computing which is switching over to GPU-based technology. Nvidia's latest release, the GP100, brings Pascal architecture, HBM2, and 64-bit double precision computations to the workstation. The card features the same internal GPU as the Tesla P100 compute card, but also brings along a PCIe connector and video outputs. Nvidia's GPU line is split into three main families: Tesla, Quadro, and GeForce. Tesla cards are compute only meaning they don't have any video outputs and are specifically designed for data center and scientific research style applications. GeForce cards are mainstream gaming oriented cards with drivers designed for video games. The Quadro line is somewhere in the middle. They have high performance computing (HPC) hardware, but come with drivers optimized for CAD, 3D modeling, and simulations. The Quadro GP100 is a big design change from previous generations of GeForce and other Quadro cards. The CUDA cores are redistributed to give an effective compute performance of 5 teraflops in 64-bit double precision applications. The memory has also received an upgrade bringing the GP100 to 16GB of ECC HBM2. It has a 4096-bit wide bus and a massive bandwidth of 720GB/s. Just like its Tesla P100 cousin, the GP100 also features the new NVlink connector in place of SLI. It offers much higher bandwidth than SLI or PCIe for card-to-card communications. In addition to the GP100, Nvidia has refreshed the rest of its Quadro lineup. The Quadro P4000, P2000, P1000, P600, and P400 are all likely competitors to AMD's upcoming Radeon Pro GPUs based on Vega. But don't expect any of these to be even remotely cheap. The GP100 is expected to launch in March with pricing around $6000 per card.